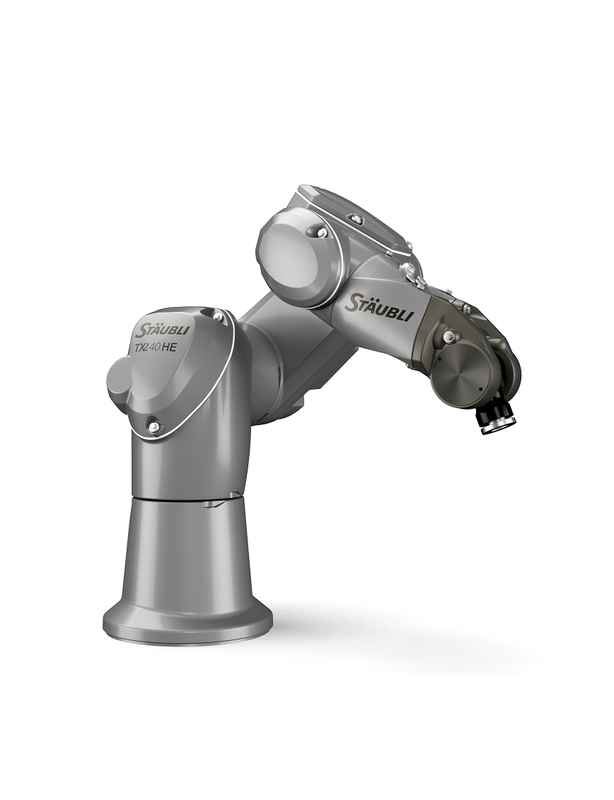 Our fast and precise TX2 robots are the next generation of 6-axis robotic arms. This new line of robots is redefining performance with an ideal combination of speed, rigidity, size and precision. These collaborative robots have unique features that make them adaptable to all industries, including sensitive and complex environments. They protect your employees, production and investment. Robots can work alongside humans to improve productivity and product quality, in a process called Man Robot Collaboration. As robots become smarter, more effective and safer, they free up employees from tedious tasks so they can focus on more value-added work. 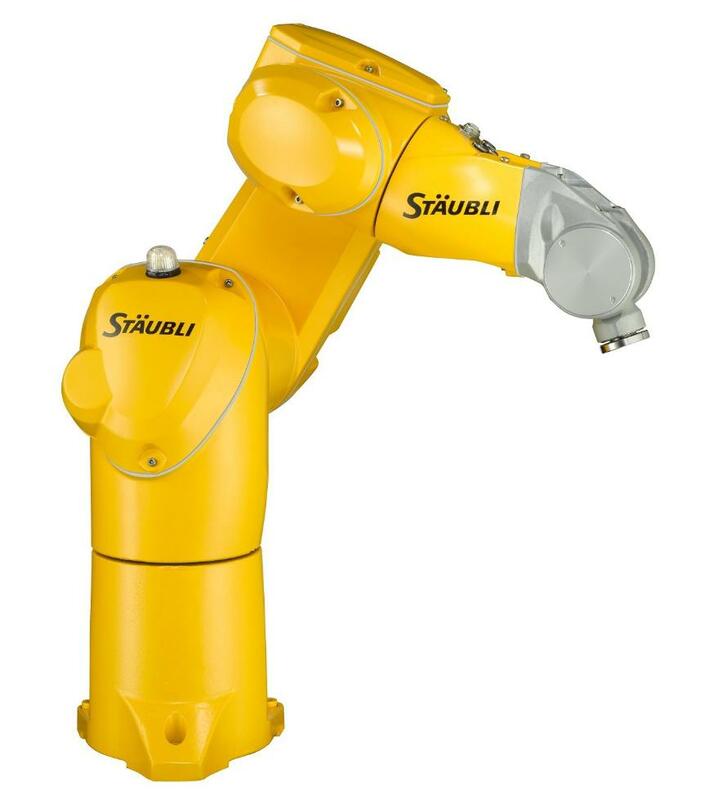 Stäubli’s new generation of TX2 collaborative robots provide automation solutions to meet production requirements in a range of industries. The TX2-40 robot has a payload of up to 2.3 kg with a reach of 515 mm. The TX2-40 HE robot is part of the “Humid Environment” line developed specifically for processes in wet environments. The TX2-40 HE has been designed to resist corrosion even under extreme conditions. It can be used in very humid environments for applications such as water jet cutting, machine tool loading/unloading and various food operations.